Dubai: Until that final moment when news broke that he was being arrested in Japan — his second home, so to speak — it was as if the myth of Carlos Ghosn as an indestructible corporate titan and a turnaround specialist would somehow find a way to sustain itself. Despite the odds … But that was not to be. The fall from grace was swift, and unlike anything associated with the man, unprecedented in the depths it reached. Nissan — where he was Chairman and over the better part of two decades instrumental in its growth story — said he would be sacked for financial misconduct that came to light in an investigation. At Renault, the French Government and a major stakeholder in the carmaker, said Ghosn would be “replaced”. 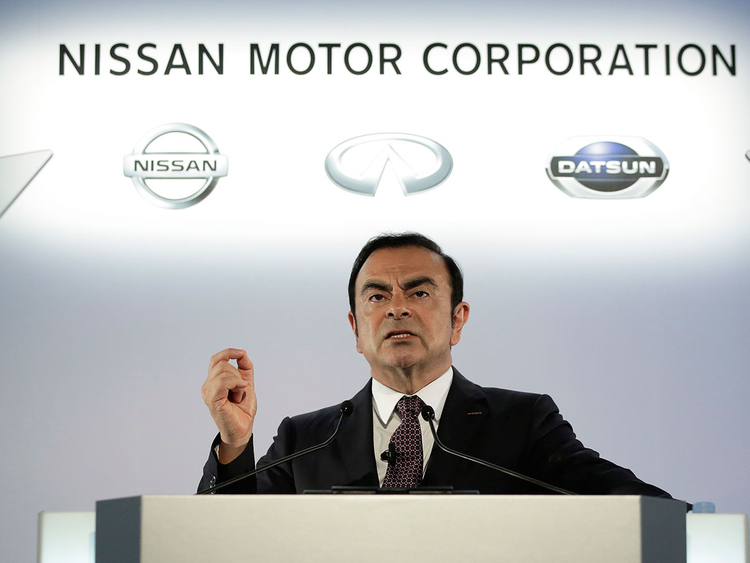 It was as a senior executive at Renault that Ghosn had launched the bid for a sizeable stake in Nissan and eventually created a continent-straddling auto giant. This alliance was later expanded to include Mitsubishi and a Russian automotive company. Sure, there have been scandals in the past involving Japanese multinationals and their founders and CEOs, and accompanied by the customary public bowing in contrition. But with Ghosn, it is unlikely that any future show of remorse would suffice in placating his legions of admirers. These included many from within the Middle East, where his plain speaking ways delivered results year in and year out. Plus, there was the sense of kinship these markets felt for Ghosn given his Lebanese lineage. He made the quickest decisions. The other aspect was his sheer longevity at the top of the auto industry … in that he is very much like (late) Sergio Marchionne. There are still automotive journalists who look back at his press conference at Dubai’s Emirates Towers in the early part of the last decade and shortly after the Renault-Nissan deal was effected. His responses did not have any PR-ish element about them; it was as if he felt he just had to say the way it is. This was a time when it was rare for global heads of automotive giants to drop in for short trips of the Gulf and other territories. “He made the quickest decisions and it did seem as if he had a clear perspective of the end results before anyone else,” said an industry source who had worked with him. Local industry sources said it was Ghosn who had assigned Middle East markets high priority, first as a breakthrough market for Nissan and Infinity, and then for Renault. Regional offices were set up, empowered to take decisions and then deliver on them. This, he managed to replicate in most of the key global territories. This is why Ghosn’s arrest — for misrepresenting his compensation package — seems so at odds with the man the world knew. Someone who was just as comfortable on the factory floor as he was chit-chatting with Emmanuel Marcon, the French President, and upbraiding Theresa May, over any “hard” Brexit possibilities. A whole generation of Japan Inc. and the rest of the world only knew him by the riskiest gambles he took on and the way he managed to make them pay off for him. This was the man who felt that the only way to keep ahead of change in the automotive industry was through alliances. And the bigger the alliances, the better, and ended up making Nissan-Renault-Mitsubishi-AvtoVAZ the third largest automotive group in the world. Such cross-border alliances have since become a feature of a fast consolidating industry, but at that time, Ghosn, Nissan and Renault was going into a space seldom ventured. There was one another big-time deal at about that time, between Germany’s Daimler, which owns Mercedes, and Chrysler. But that came unstuck after a few years of trying. So, will the Carlos legacy end with his ouster from all titles? Can the alliance move on without the person who wrote the script for them? At this moment, Ghosn’s departure will leave many an unanswered question. But for that period between 1999 and until 48 hours ago, he had all the answers.